Darnishia Slade, manager of Global Engagement Programs and ACSHF graduate student, has been selected by Lorelle Meadows, the Dean of Pavlis Honors college (PHC), to be this week’s showcase member! Slade will be recognized at the end-of-term luncheon and is eligible for one of three new teaching awards to be given by the William G. Jackson Center for Teaching and Learning this summer. 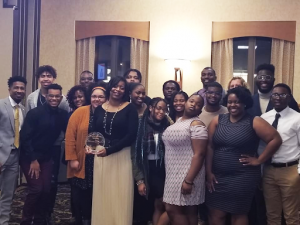 Darnishia Slade (Pavlis Honors College) was awarded the inaugural Bayard Rustin Award by the Michigan Tech chapter of the National Society of Black Engineers (NSBE). The award was presented at the University’s 30th annual MLK Banquet on Jan. 21. The story was featured in the Lode student newspaper. Darnishia is also a PhD candidate in the Applied Cognitive Science and Human Factors program. Congratulations Dar! 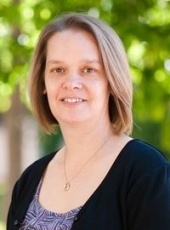 Shari Stockero (CLS/Math) has been named the 2019 Mathematics Teacher Education Outstanding Reviewer by the Association of Mathematics Teacher Educators. Her research focuses on noticing high-potential instances of student mathematical thinking (MOSTs) and understanding what it means to productively use these instances to support student learning. Specifically, in her current work, she and her colleagues are working with a group of teacher-researchers from across the US to enact and study the teaching practice of building on MOSTs. She is also working on a project to develop middle school science teacher leaders in Michigan. Congratulations Shari! 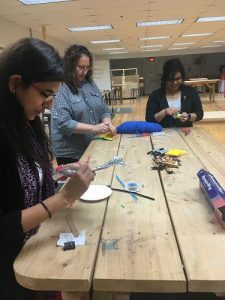 Students in the Applied Cognitive Science and Human Factors graduate programs attended a Design Thinking Workshop in Michigan Tech’s MakerSpace on Monday, September 24. Design thinking is a human-centered, iterative design process used to solving complex problems. Mary Raber and Amber Kemppainen facilitated the workshop. Sha ri Stockero (CLS/Math) co-authored two of the most cited articles in the Journal of Mathematics Teacher Education (JMTE) and Journal for Research in Mathematics Education (JRME). According to Google Metrics, Stockero’s article “Characterizing pivotal teaching moments in beginning mathematics teachers’ practice”, was the 9th most cited JMTE article from 2013-2017. Laura Van Zoest from Western Michigan University is co-author. A second article, “Conceptualizing Mathematically Significant Pedagogical Opportunities to Build on Student Thinking”, was the 12th most cited JRME article for that same time period. The article was co-authored by Keith Leatham and Blake Peterson (Brigham Young University) and Laura Van Zoest. 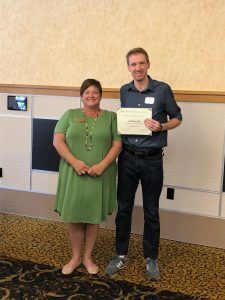 Through the generous support of a grant from the Robert Noyce Teacher Scholarship Program, 8 Michigan teachers participated in a two-week long summer institute on the campus of Michigan Tech last month. The teachers are newly admitted students in the Master’s of Applied Science Education program, housed in the Department of Cognitive and Learning Sciences. 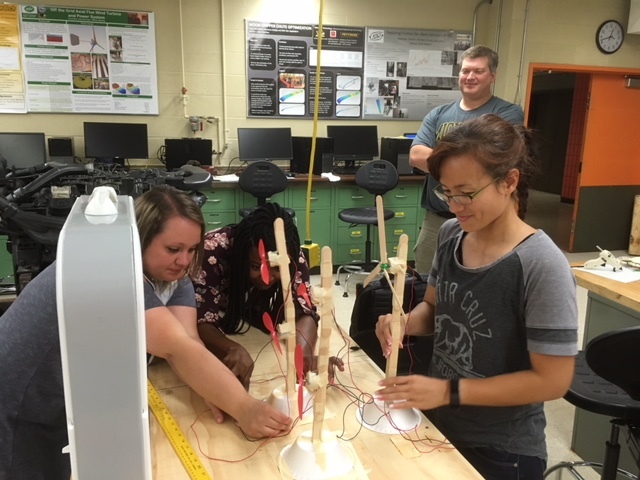 The teachers engaged in hands-on experiments in the course, The Engineering Process, which was taught by Dr. Irwin from the School of Technology. Teachers took part in both the technical and creative sides of the problem solving process surrounding engineering. Michigan Tech’s Mi-STAR program recently signed an agreement with Nasco that will allow Nasco to prepare and sell kits for use with the Mi-STAR curriculum in middle school science classes. 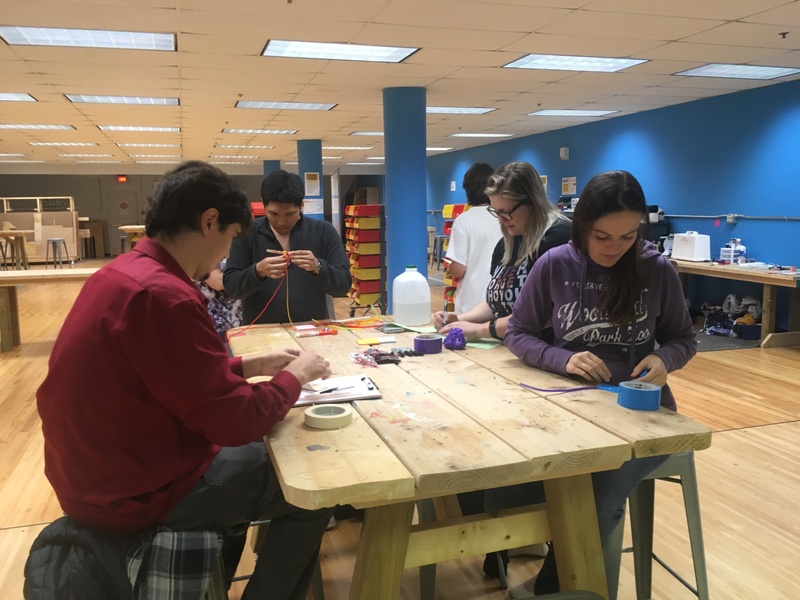 Mi-STAR’s curriculum and its associated professional learning program were designed and developed in full alignment with the Next Generation Science Standards (NGSS) and the Michigan Science Standards. The curriculum is unique in that it integrates content and methods across the traditional disciplinary boundaries of Earth and space science, life science, engineering and physical science. Engineering principles are fully embedded in the curriculum; engineering is not treated as an afterthought or add-on by Mi-STAR. Although the curriculum is still being developed, all of the 6th-grade units will be available in time for the start of school in fall 2018. Several 7th- and 8th-grade units will also be available for the fall. When completed, the entire middle school curriculum will address all of the middle school standards. Mi-STAR’s curriculum and associated professional learning support student-centered instruction in middle school classrooms. Each unit in the Mi-STAR curriculum addresses a real-world problem that is of wide interest to 21st-century society. By maintaining a focus on real-world problems, the curriculum helps students understand how science and engineering are used to design solutions to issues that are relevant to their communities and the world. 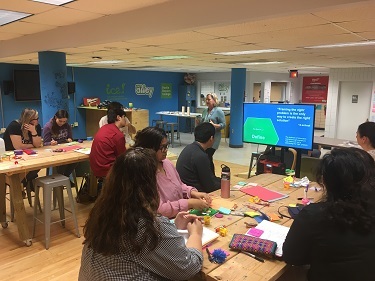 “By partnering with a major corporation to produce and deliver kits to schools, Mi-STAR will be able to expand its reach and provide better service to educators and other users” says Jackie Huntoon, provost and vice president for Academic Affairs at Michigan Tech. Huntoon noted “anything a STEM-focused University like Michigan Tech can do to increase students’ interest in science before they graduate from high school will ultimately benefit our state and the nation. Mi-STAR was founded in 2015 through a generous gift to Michigan Tech from the Herbert H. and Grace A. Dow Foundation. 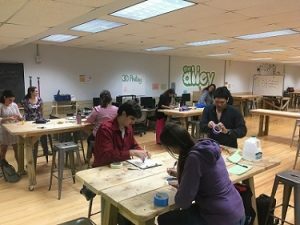 In 2017, Mi-STAR was identified as a promising program by STEMworks at WestEd. School districts partnering with Mi-STAR have been successful at obtaining support from the Michigan Department of Education to enhance their teacher’s professional learning and to improve science learning outcomes among their students while using the Mi-STAR curriculum and professional learning program. In 2018, Michigan Tech received funding from the National Science Foundation Robert Noyce Teacher Scholarship Program that will be used to increase the number of teachers proficient with Mi-STAR’s NGSS-aligned curriculum and who are prepared to lead reform efforts in their schools, districts and the state. As of January 2018, Mi-STAR was used by more than 450 teachers in more than 100 schools/districts with an estimated 45,000 students. Nasco was started in 1941 by a vocational agricultural teacher, Norman Eckley. Starting as a simple operation in a two-car garage, Nasco has grown to an enterprise publishing more than 35 different catalogs, with an annual circulation exceeding 5 million, to customers in education, agriculture, healthcare training and lab sampling worldwide featuring materials available for a wide array of educational, training and production needs. Dr. J osh Ellis was recognized on April 24 by CLS Department Chair Susie Amato-Henderson at the annual Dean’s teaching showcase luncheon. College of Sciences and Arts Dean Bruce Seely selected Ellis, Assistant Professor in the Department of Cognitive and Learning Sciences (CLS) for his synthesis between research and teaching. 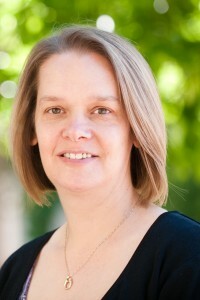 As one of 12 Deans’ teaching showcase members, Dr. Ellis is now eligible for one of three new teaching awards to be given by the William G. Jackson Center for Teaching and Learning this summer recognizing introductory or large class teaching, innovative or outside-the-classroom teaching methods, or work in curriculum and assessment. The mini-conference included eight projects, mentored by Professor Mueller and Professor Hungwe, that answered psychological questions in tech domains such as smart phones, health care, work place and STEM education. Topics range from stress to work attitudes, working memory to ethical decisions, and personality to STEM education. Abstracts of the projects are listed below. Previous studies have found associations between personality traits and attitudes related to anxiety and various cognitive abilities (Murdock, Oddi, Bridgett, 2013; Smith, 2017). The present study focused on college students and was comprised of two parts. Study 1 examined associations between the cognitive ability numeracy, and the Big Five Personality traits, focusing on the traits of openness to experience and neuroticism (opposite of emotional stability). The study employed a survey that contained a measure of personality using the 44-item Big Five Inventory, and a measure of numeracy using the Berlin Numeracy Test (Cokely et al., in press; John and Srivastava, 1999). The trait of numeracy was not found to be significantly correlated with any of the Big Five Personality traits. Study 2 examined associations between general math anxiety and self-perceived ability, and numeracy. A survey was conducted using the 15-item Modified Fennema-Sherman Mathematics Attitudes Scale and the 7-item Berlin Numeracy Test. Results suggested a negative relation between math anxiety and self-perceptions of math ability. Results also suggested a negative relation between math anxiety and the ability to interpret statistical information. These findings have important implications given the widely published research on the negative impacts of math anxiety on performance on mathematical task performance. Future research should investigate ways to help diminish math anxiety in specific populations (e.g. college students). Employers have started adopting online health care programs in an effort to allow for flexibility amongst health care plans, and to reduce employer and employee medical costs. This study examines the effects of advertising on employee awareness and utilization of the Blue Cross Online Visits program. It is hypothesized that engaging employees through various advertising campaigns will increase program awareness and utilization. A pre-advertisement email survey was completed a random sample of University of 105 employees. Upon completion of the advertising campaign, a post-advertisement survey was completed by 134 response employees. The advertising campaign had a significant impact on general awareness of online healthcare (X2(1)=16.02, p=<.001), as well as on awareness of the University offering the Blue Cross Online Visits program as a benefit (X2(1)=7.351, p=0.007). To determine if advertising had an effect on the likelihood of an employee using the program, an independent samples t-test was conducted and showed that advertising does not impact the likelihood of an individual partaking in the benefit (t(237.0)=0.175, p=0.861. )The results also showed that age (X2(4)=4.705, p=0.319) and gender (X2(2)=2.407, p=0.300) did not impact how likely someone was to use the program. Past research has shown that keyword mnemonics have been effective in second-language learning, but there is limited research on its use in education (Putnam, 2015). If mnemonics are effective in helping students learn vocabulary for second languages, they may also be helpful in retaining information in other areas of education. In a preliminary survey taken by 48 participants, it was found that there was a positive correlation in the percentage of correct answers with the use of mnemonics to help answer the question, with Pearson’s R= 0.692 with p < 0.001. It was also found that although students used these methods, they rarely created their own mnemonics in order to study new materials. The second study focused on the use of keyword mnemonics in comparison to other study methods used in educational settings, such as rote memorization. In order to test if mnemonics were a more effective study method than rote memorization three surveys were sent out to students and asked them the same test questions. One survey had participants study with a mnemonic, another had participants study with a flashcard method and a third used no study method. If the hypothesis that mnemonics are a more effective study method is supported, we predict that participants who study with mnemonics will produce better results on a test than rote memorization. These results could help to prove that mnemonics can be utilized in subjects other than second-language learning. In order to create an ethically responsible society, we must understand peoples natural will to reason for themselves. The study was to explore the extent to which people put independent thought into ethical choices compared to the propensity to follow the crowd opinions or fall into framing/priming effects. In the first phase of our study, we discovered that people tend to place a high level of importance on decisions that they deem ethically challenging. We also gathered information on the types of ethical situations that people encounter in day to day life. In the second phase of our study, we used the scenarios provided by participants in study 1 to develop realistic ethical dilemmas. These ethical dilemmas were then answered by the participants of the second phase, some of whom were primed with different types of ethical reasoning logic before encountering the scenarios. We found a significant difference between groups primed with different ethical schools of thought, meaning that it appears we were able to manipulate the ethical decision making process for individuals who were primed. What makes a person successful in business? Previous research found that education is a predictor of salary, promotion, and career satisfaction (Ng, Eby, Sorensen, & Feldman, 2005). We interviewed people who considered themselves successful in business. The results from the interviews were used to develop a survey. The survey question focuses on personal and academic background, work experience, personal beliefs about factors that influence success, management styles, personality, their education and other factors. A total of 134 people participated. Overall, we found MTU graduates felt better prepared by their education and reported that they were better equipped with the skills it takes to be successful in their jobs. Current students from all universities also had significantly different ratings of qualities for success, desired management styles, and best ways to learn on the job compared to working individuals. Anxiety is an issue that affects people in different ways and many will deal with it in their lifetime. Past experiments have focused on test anxiety of college students but have not focused on whether or not college students demonstrate higher levels of anxiety than the general population (Galassi, Frierson, & Sharer, 1981). It was hypothesized that those currently enrolled in college will demonstrate higher levels of anxiety. Study 1 used a 25-item which was consisting of three parts: 10 Trait Anxiety questions, 10 State Anxiety questions, and 5 demographic questions. Results showed that college students demonstrated higher levels of State-Trait Anxiety than those not enrolled in college. The focus of study 2 was on short coping mechanisms and how they impacted the State Anxiety of college students. A 25-question survey with a randomly assigned coping mechanism was used to test the hypothesis that there are differences between coping mechanisms used and the effect on State Anxiety levels of college students. There were no significant differences found. Previous research has shown that meditation can be used to reduce stress and treat stress-related mental disorders, such as PTSD and social anxiety (Kiyonaga, Wong, & Gelfand, 2010) and educational settings (Quach, Jastrowski Mano, & Alexander, 2015). Since stress is connected to memory, studies have suggested the possibility of using meditation to improve working memory. The study investigated this in two different settings. Participants in study 1 consisted of a meditating and no-meditating group. They were asked to respond to an online survey. The survey contained demographic questions concerning meditation, mindful attention (MAA) questions, and a word recall test. It was hypothesized that the meditating group would perform better than the non-meditating group on memory and mindfulness tests. The differences were not significant. Study 2 was a lab experiment with an experimental and control group. The experimental group completed the N-back memory task, with an intervening 15-minute period of meditation, which was followed by the completion of the Corsi memory task. The control group completed the memory tasks with a 5-minute break between the tests, with no meditation. The results are inconclusive. Follow up studies with larger samples are recommended. There has been an increasing interest in understanding problematic smartphone use and its characteristic (Wang, Lee & Li, 2016). This two part study investigated the compulsion to use the smartphone among a college population. Study 1 was designed as an online survey with 34 participants. It was hypothesized that the compulsion to use smartphones would be associated with the number of apps used. A Chi-square test was conducted with compulsion (DV) and social media apps on their devices (IV). The social media apps were categorized as either high compulsion or low compulsion, and the social media use was categorized the same. There was no significant difference found (X2(1) =0.075, p=0.78). Study 2 investigated if the compulsion to use a smartphone would disrupt an attention task. 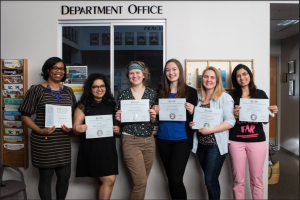 Fourteen college students participated in a lab setting where they were given a task. Halfway through the experiment, two messages were sent to their phones. The participants’ level of concentration was observed before and after the messages were sent using a rating scale. A note was also made on whether they attended to the message or not. A paired-sample t-test was conducted to compare the before and after their phone went off concentration scores. There was a significant difference in the paired-sample t-test (M=2.0, SD=0.34); t(13)=6.360, p<.001). Results showed that almost every individual’s concentration score went down once their device went off and over half of the individuals checked their devices. The result show that students had developed a compulsion to use smartphones even when their attention was needed to complete a task.